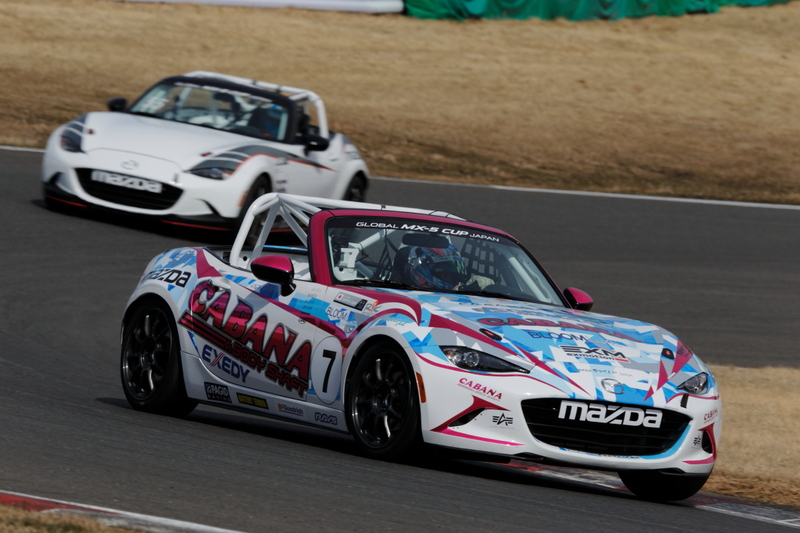 The Japan edition of the highly competitive one-make race that utilizes unified world specification machines based on the North American spec Mazda MX-5 (Roadster), the GLOBAL MX-5 CUP JAPAN (GMCJ), is heading into its second year. A joint test for the opening round to be held in about a month, was held on March 10th, at Sportsland SUGO in Miyagi Prefecture. As has been already announced, 8 teams and 9 drivers have completed registration for this year’s competition, a slight decrease from last year. Although only 4 cars were present for this testing this time around, it included three rookies who will be making their debut this year. 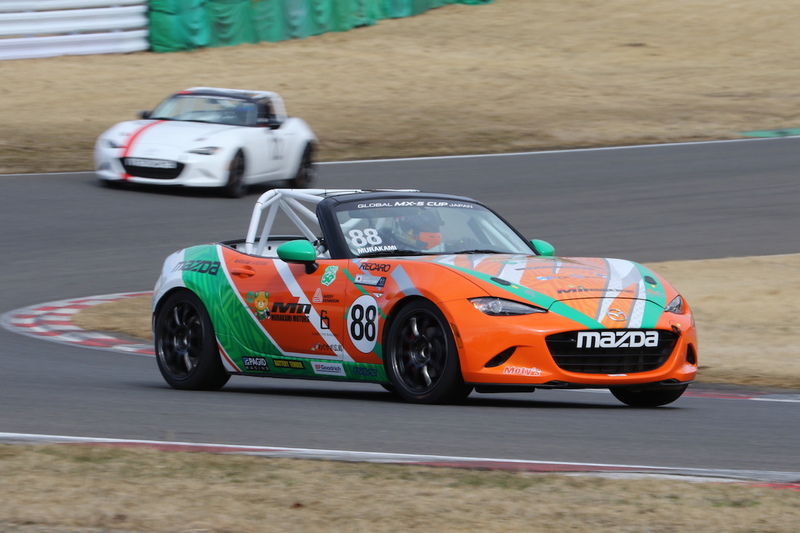 The two young guns who performed impressively in the Super Taikyu series after moving up through the Roadster Party Race championship, garnered a great deal of attention. 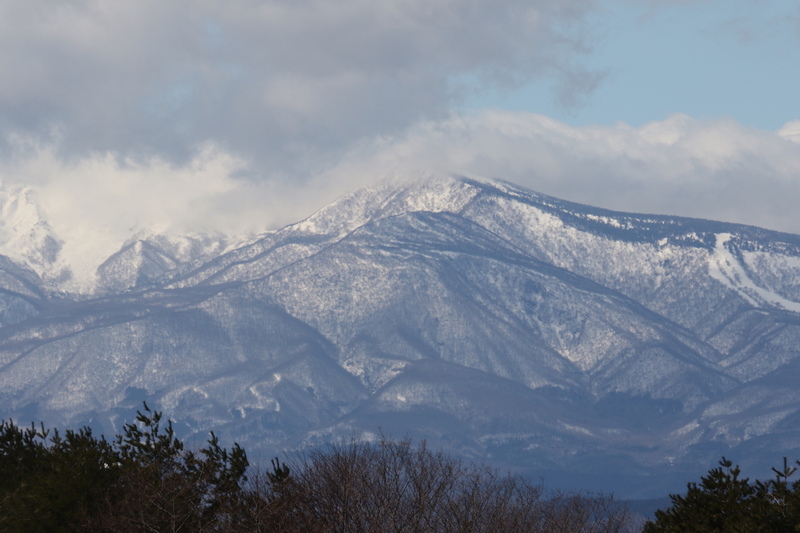 The day was blessed with excellent conditions and two one-hour cup car runs were held from 10:30am and then 1:00pm. 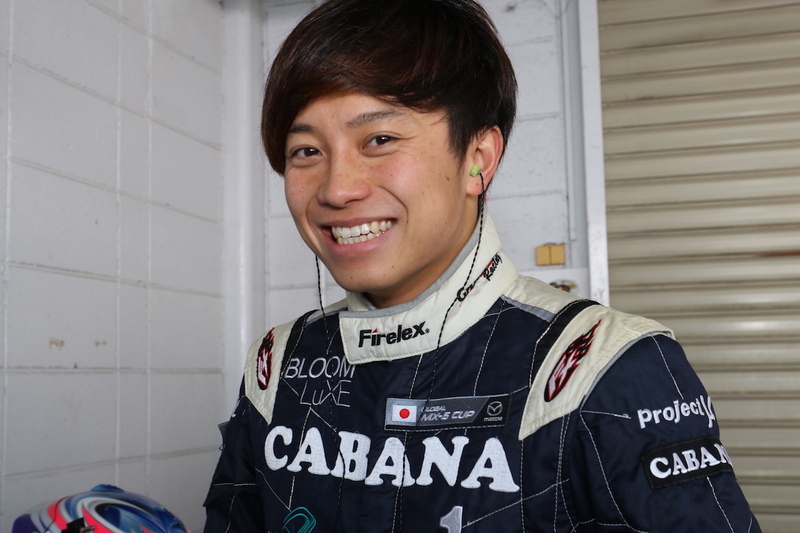 In the beginning of the first session, 2016 Party Race Champion, Go Umeda’s #12 marked down several 1 minute 38 second times to be leading in the first half. Last year Umeda competed in the Super Taikyu driving a Demio for Team NOPRO and took two victories. However, for the GMCJ he will be returning to Team TERRAMOS, which is directed by Yojiro Terada. However, after about 20 minutes had passed the CABANA Racing #7 of Yui Tsutsumi took the lead with a 1 minute, 38.119 seconds. He went on to mark down the best time of the session on his eleventh recorded lap with a 1 minute 37.407 seconds. Incidentally, Testuya Yoshino, who took the GMCJ title last year driving his #7 car, will take the title of “defending champion” from the opening round and so his car number will be changed to #1. 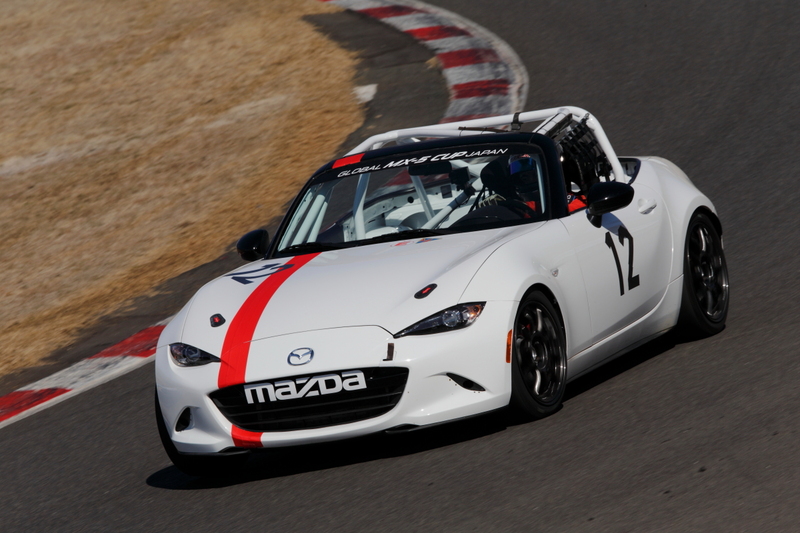 As for Tsutsumi, he not only took the 2015 Party Race championship, but also grabbed a 3rd place in the Inaugural MX-5 Cup Global Invitational held in 2016. 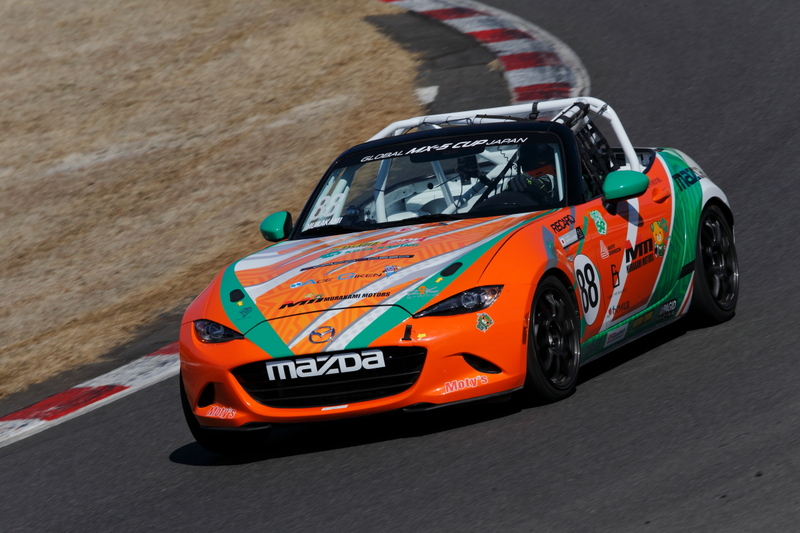 He has also taken a victory in the Super Taikyu driving an NC Roadster. He also entered into last year’s GMCJ round 2 at Suzuka as part of a Media Frame sport participation, taking pole position and further adding to his racing resume. 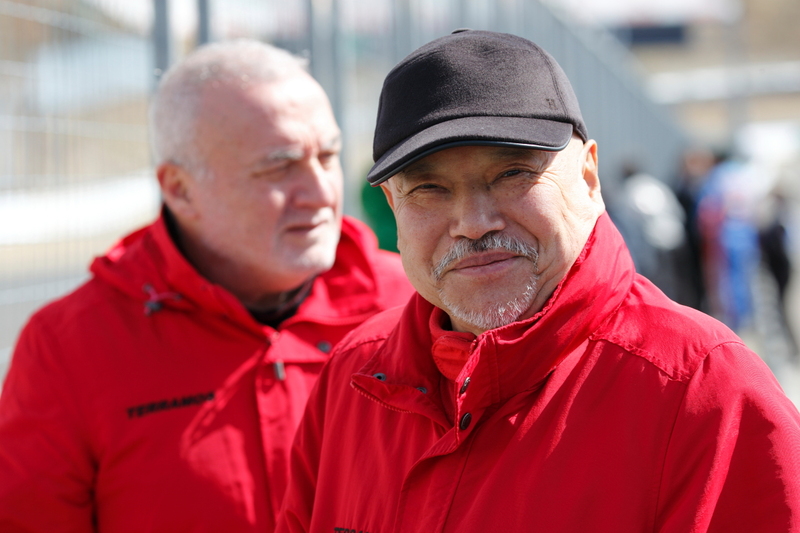 In the joint tests Kenichi Kohara, who is scheduled to compete in the opening round, and Kajima, who is planning to participate as the first Japanese driver to make full participation in the North American series, tested the #55 car owned by Mazda. Furthermore, 2 drivers currently participating in the Roadster Party Race also tried out driving the cup car. 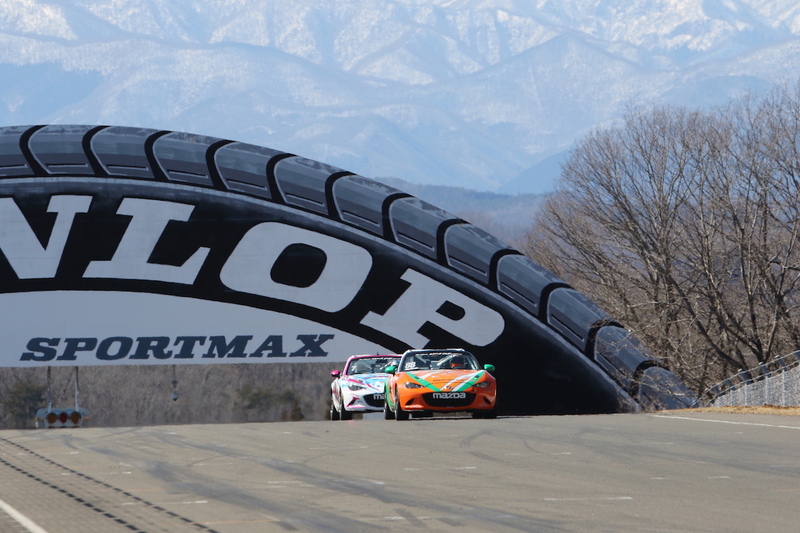 The opening round of the GMCJ will be held on April 15th as the main event of the “Mazda Fan Tohoku Meeting 2018” and will see qualifying and the final race held on the same day. The series will then tour Japan’s main circuits in Motegi, Suzuka, Okayama and Fuji until September.